You have got to love Google’s Android release names. 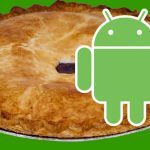 The latest is called Android 9, and in keeping with Google’s custom of naming its Android operating systems after desserts, it also carries the name Android Pie. This release follows up “Oreo,” which maintains the history of also releasing names in alphabetical order. The typical changes that accompany new Android releases tend to be on the evolutionary side. They feature slight improvements and tweaks to the user experience. Android Pie, however, features new artificial intelligence (AI) features that are designed to make the phone experience better for the user. Android 9 comes with an “Adaptive Battery” feature that allows for intelligent battery usage by pushing “less important” apps into the background. Adaptive Brightness is a feature that automatically adjusts screen brightness according to running applications and ambient light levels. Artificial intelligence also drives the predictive task features, which opens apps based on what it can predict what a user wants to do next. Keeping with the Pie theme, “Slices” is an AI feature that suggests apps and shortcuts based on predictive user application requirements. Pie also includes native “notch” support, which allows for screen modifications for various notched displays on certain smartphones. Previously, these phones utilized manufacturer-provided software leaks. Native support means developers will have an easier time designing applications that display consistently on all phone platforms. If you’re interested in checking out Android 9, there are always a variety of development and unofficial channels. However, Google’s native Pixel smartphone platform users get the update first. The range of Android devices that run unmodified Android operating systems will follow in the coming weeks. This makes sense as they follow Google’s hardware and software standards. Android 9 won’t hit further devices until partners develop integrations for their respective user base. The entire computing devices industry is transforming through increased AI integration on mobile, application, and IoT platforms. As these innovations release, the collections of data that go into AI raise some privacy concerns. As described, none of the reported Android 9 features focus on security. With the history of concerns surrounding Google’s practices, there is little doubt that Android 9 will be closely watched.